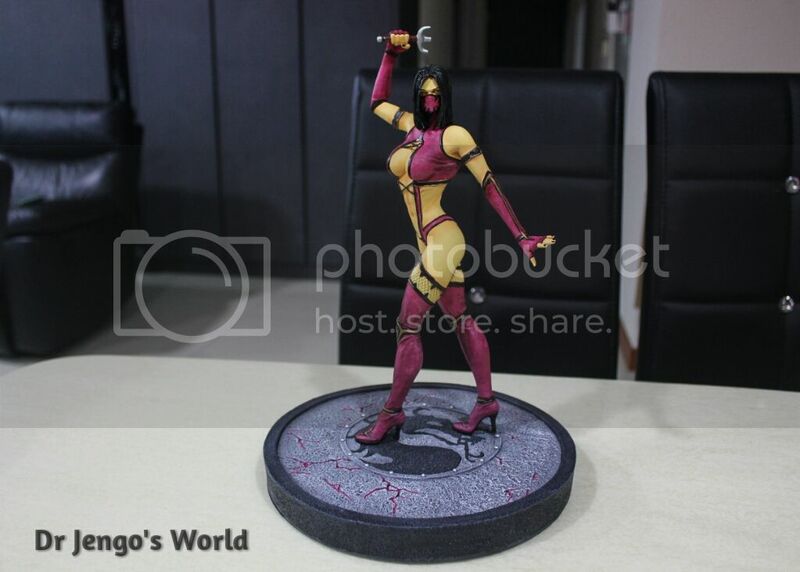 So you have seen Jade.. she's gone off to another home and Mileena might be leaving as well.. So let's show her off before she's gone..
As you can see, the sai in her right hand is broken.. 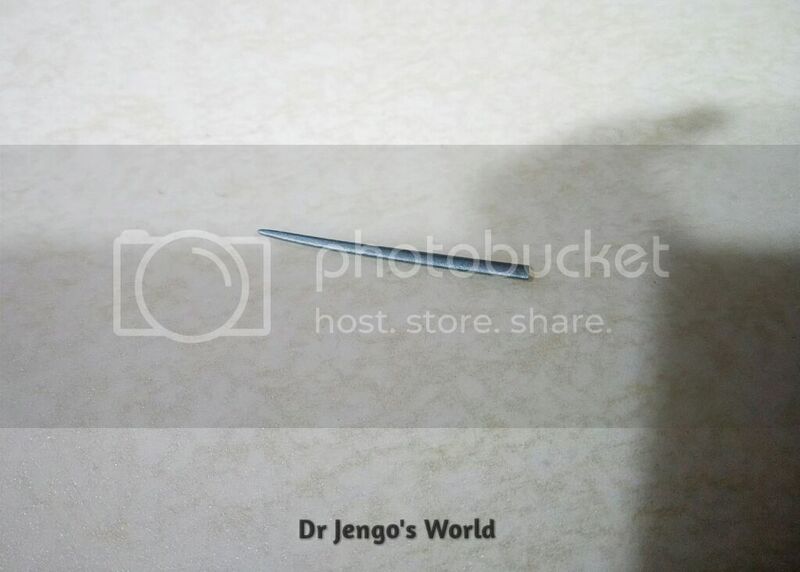 I still have this piece which is a clean break but I'm missing the other 2 pieces. Apart from that, the statue has no other damages. 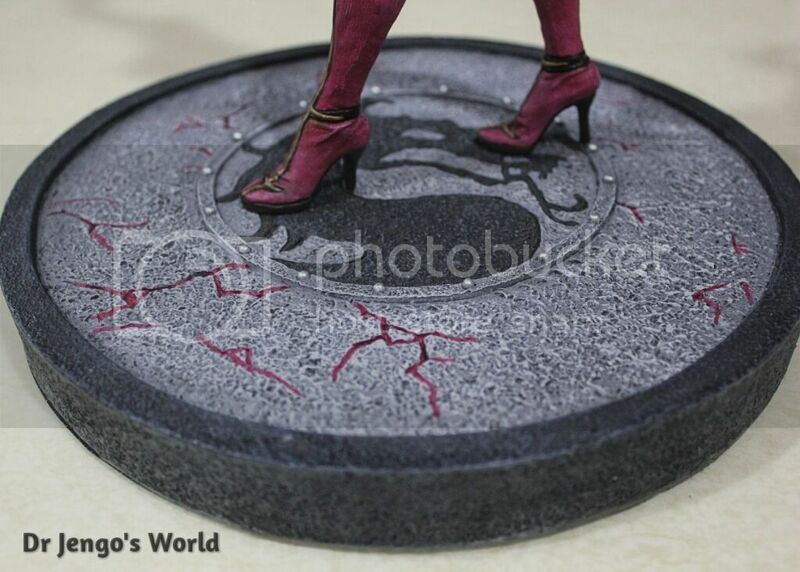 Here's the base, given some purple cracks in sync with Mileena's colour theme..
Take a look at this monstrous beauty..
Wow.. say what you want about Syco Collectibles but you have to give them credit in the way they treated the ladies. I mean look at all those curves.. She's stunning! Again, this is why it took me so long to sell the ladies away even though most of the other Syco statues are long gone. I mean.. come on, look at that! They don't call her the Man-Eater for no reason! The statue also comes with an alternate swap out hand with the sai. Would look a lot more threatening once the other sai is fixed. I did ask around and from what I heard it should be an easy fix if you bring it to the right people. 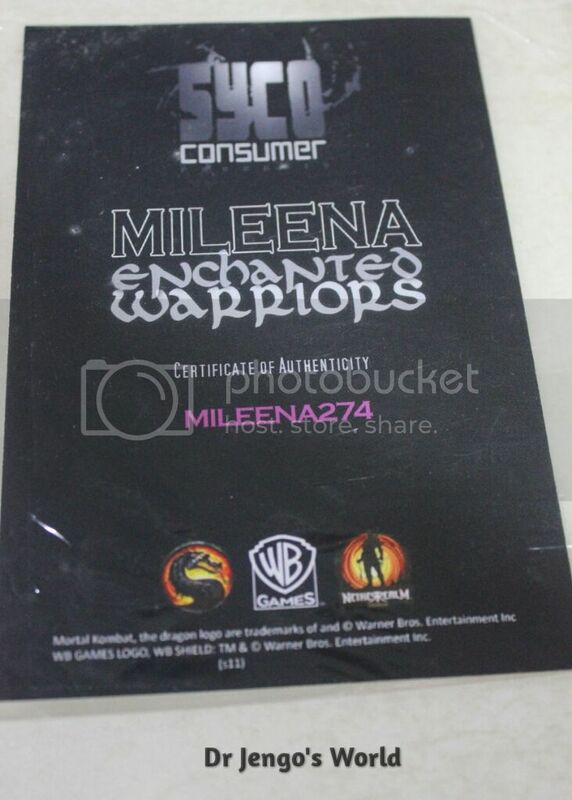 So, yes Mileena is up for sale. I'm definitely going to miss her like I do with Jade but I have no regrets. You just move on I guess..
Hello I would really love to purchase this item.